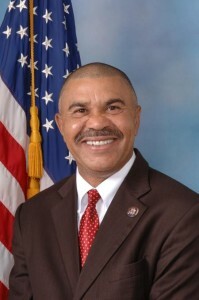 East-central Missouri Congressman Lacy Clay (D-Missouri) won’t attend Republican President-Elect Donald Trump’s inauguration but his colleague, western Missouri Congressman Emanuel Cleaver (D-Missouri), is going. Clay is among a growing list of lawmakers, mostly Democrats, not attending Trump’s inauguration. Clay’s office says he will be in Missouri speaking to schoolchildren. In a statement to Missourinet from Cleaver, he says he is attending the ceremony out of respect for the peaceful transfer of power. “However, let it be known, that I was deeply offended by Mr. Trump’s innuendos of Rep. John Lewis, a man of unsurmountable courage and strength. Comments like these are the very reason why my calls for civility and compromise are so paramount. 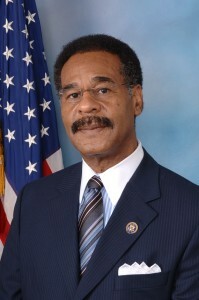 There is work to do on Capitol Hill and we must begin to heal this country not rip it apart,” says Cleaver. Rep. Lewis (D-Georgia) says he’s boycotting Trump’s inauguration because he doesn’t see Trump as a “legitimate” president in light of Russian interference. Trump harshly responded, by saying Lewis should spend more time helping his crime-infested district that’s falling apart. He said Lewis is all talk and no action or results. Trump has been hesitant to embrace U.S. intelligence officials’ assessment of Russia’s email hacking in an attempt to interfere with America’s General Election in November.